Placing a tube within the gastrointestinal tract for diagnostic or therapeutic purposes is medically termed as gastrointestinal intubation, according to “Understanding Medical Surgical Nursing” by Linda Williams and Paula Hopper. A variety of different feeding tubes exist, with each one used for a specific treatment. The main purposes for feeding tubes include removing gas and fluids from the stomach, providing nutrition and hydration, promoting healing after surgery, removing toxic substances from the stomach and to diagnosing gastrointestinal motility. Doctors use a nasogastric tube (NG tube) when the need for gastrointestinal intubation will take place for less than four to six weeks, per Merck. Medical personnel insert the NG tube in the nostril of either conscious or unconscious patients. This tube passes down the esophagus and into the stomach. Once inserted, placement verification by x-ray and the aspiration (drawing up a substance) of gastric (stomach) content ensures proper function, states Williams and Hopper. Only trained professionals like doctors and nurses prove qualified to place an NG tube. Placed in the stomach either surgically, endoscopically,or radiologically, the gastrotomy feeding tube (G tude) is a permanent device, according to Merck. G tube placement happens when the estimated need goes beyond four to six weeks. The National Library of Medicine states, the physician inserts a balloon or special tipped tube into the stomach through a small incision made on the left side of the stomach and sutures the opening closed around the tube. A jejunostomy feeding tube (J tube) is a permanent feeding tube placed in the small intestine. 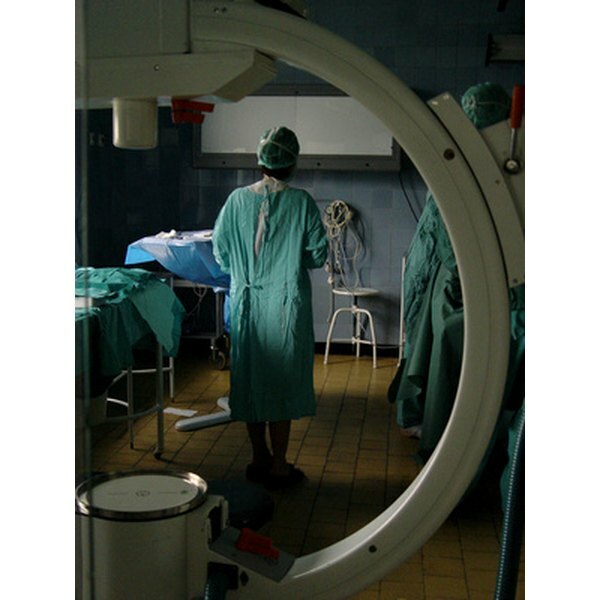 Physicians implace the J tube surgically nto the small intestine in order to deliver the required nutrition and medications to the affected person. When they cannot use a G tube and a bowel obstruction exists above the small intestine, physicians will opt to use a J tube instead, says Merck. Physicians can easily pull this tube out during in an inpatient setting. Administration of diluted feedings through this tube in smaller volumes remains the protocol. Although the use of an esophagostomy feeding tube proves more practical in the use of animals, human patients affected with malnutrition can also benefit from this device, according to Williams and Hopper. The esophagostomy tube can be placed, with minor equipment, directly into the esophagus. This tube can be used for people or animals that need gastrointestional intubation for a short period. The esophagostomy tube is beneficial to a person when damage to the nasal cavity or jaw prevents nasogastric placement.